To Malaysian badminton veteran Choong Tan Fook, the Beijing Olympic Games means more than shooting for gold. 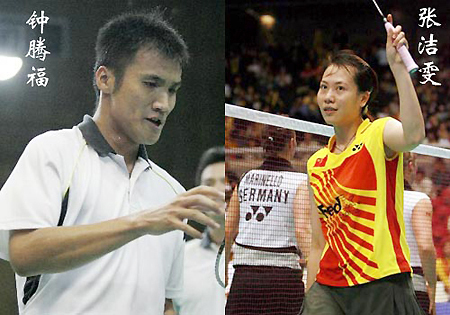 After the Games, he will marry China's doubles shuttler star Zhang Jiewen. Choong and his partner, ranked fifth in the world, are now working hard to gain a berth for the upcoming Beijing Games. He revealed the four-year long-distance courtship during the recent Malaysian Open earlier in January. 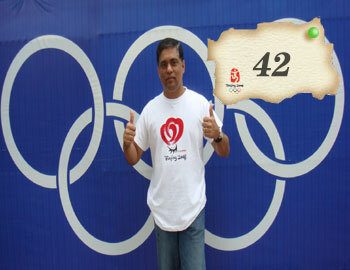 "I hope that I will qualify ... it is going to be my last Olympics. I do not know what will happen after that as far as my career is concerned. There may be some changes," said Tan Fook. "But one thing is for sure, I am planning to get married to Jiewen. The Beijing Games will also be her last before she quits," he added with a smile. Choong fell in love with Zhang, the Athens Olympic doubles champion, at the 2004 Malaysian Open. Inspired by his sweetheart's impressive achievements, the Malaysian said that he would go all out to win a medal if he qualifies for the Beijing Olympics. He and his partner were semi-finalists and quarter-finalists in the last two summer Games in Sydney (2000) and Athens (2004).